Today marks one third of my self-imposed purging of our clutter, and OH MY GOSH. I cannot believe how good it feels to just get rid of all the stuff. I mean...not ALL, but we just have so much stuff that has been hanging around. I have been updating on instagram with our daily bags - and it is amazing how much we have managed to get rid of in just ten days. One thing I didn't expect was that this would really be a motivator for us to just clean house. We have been tackling the basement on top of our list area each day - and we have made SO much progress. I made our first trip to Goodwill yesterday - and dropped off 11 bags and 4 boxes full of stuff that we just DO NOT NEED. Half of it I didn't even know we had - and the other half I don't know WHY we had. I mean - one of those bags(that we threw away) was filled with bottles of hair products that had just a little bit left so I didn't want to waste it so I KEPT IT IN THE CLOSET FOR TWO YEARS. Matt is making the second Goodwill run today, which consists of 4 more boxes plus a booster seat that we aren't using. I just have no idea why I have been hanging on to so much - I am sure there is some connection there about emotional baggage, but whatever the reason - I am just glad to get rid of it! Purging feels good baby! (I feel like that was a weird sentence?) Here is a closer look at the list including the areas that we have already finished. I did jump ahead to the weekend, because we will be out of town and I don't want to get behind! So -fellow purgers - how is it going?? I have seen a few of your lists, but please feel free to link them in the comments again so we can all check them out! Way to go, girl! I read a really good article about how the key to purging is not accumulating to begin with. Ugh, that hit hard. But I am SO guilty of it! I love my thrift store/garage sale runs, and love picking up things at a steal. But seriously, I've got to be more intentional about it. Make do or do without mentality needs to happen, for me. We got rid of a bunch in the house, but I need to tackle the garage and the attic. It felt good just to go through kids toys and the kitchen and get rid of things taking up space. I figure if I haven't missed it, I don't need it! This is so awesome! I went through some of our stuff and got rid of the things we dont use not too long ago, but I'm a slight pack rat and always have a problem with purging a lot! Oh my gosh. 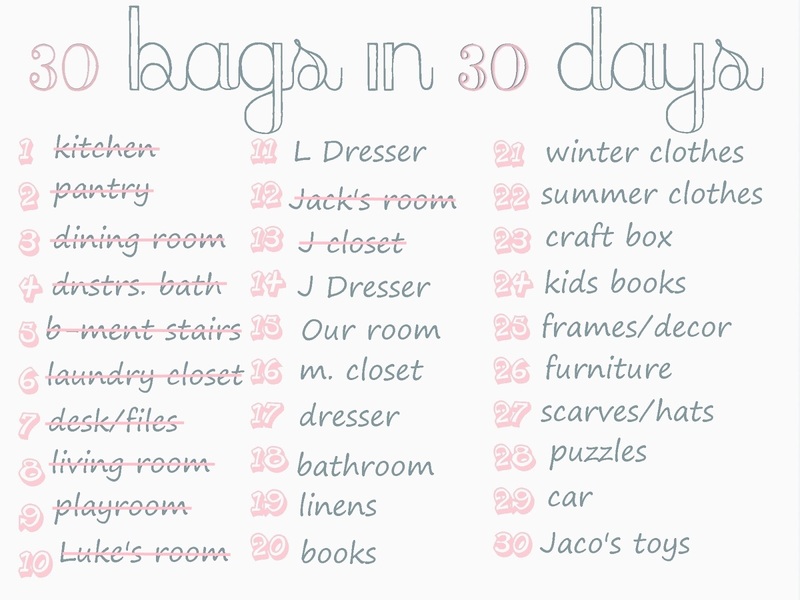 I'm going to do this. Good for you! 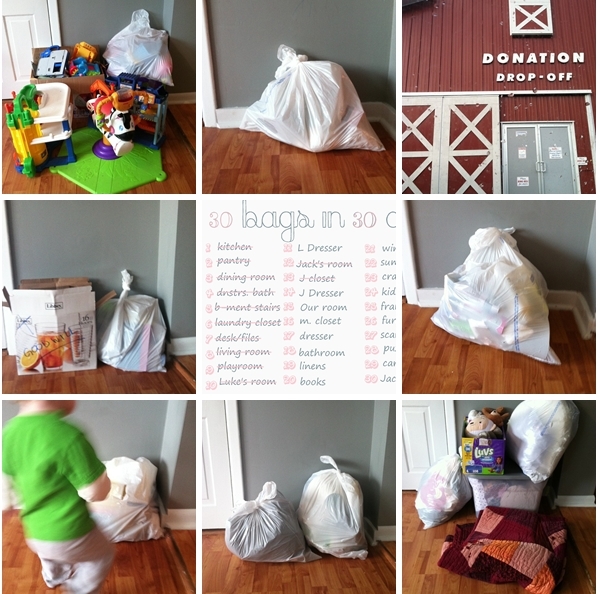 I've been following on Instagram and you've definitely been getting rid of lots of stuff!! I hope to tackle this same challenge ... maybe in February (this month is a busy one for us!). You've been very inspiring!